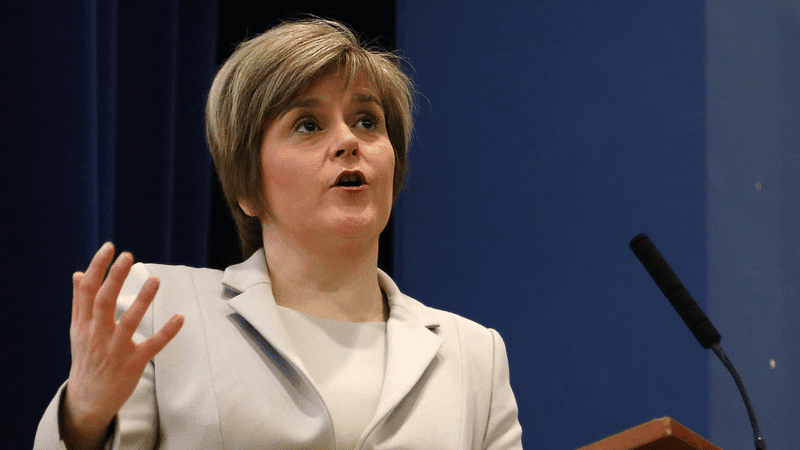 Scotland’s First Minister has come under fire from one of her own party’s voters over its support for a smacking ban. John Lloyd, from Dunfermline, said that current legislation is “totally adequate”, adding that smacking is “not assault”. Campaigners have accused Nicola Sturgeon of “deliberately misleading” Scots by claiming the current law does not protect children from abuse and that adults can assault children without fear of prosecution. The First Minister was speaking on the radio programme Scotland’s Talk In, where she was challenged over the ban by one of her own voters. He added it was a poor campaign for the SNP to get involved in and risks a wider backlash. The SNP is supporting a Bill by Green MSP John Finnie, who wants to criminalise parents who choose to smack their children. A spokesman for Be Reasonable Scotland, a campaign group opposing the ban, said: “Everyone listening will have seen that the arguments for criminalising parents for this just don’t stack up. He added: “Children rightly enjoy very strong protections from assault. It is highly irresponsible and deeply misleading to suggest otherwise. “Pushing ahead with a ban demeans parents who know far better than the self-styled ‘first mammy’ how to bring up their children. A ComRes poll for Be Reasonable found that 75 per cent of Scots oppose a smacking ban, while a similar poll for The Sunday Times found only 30 per cent of Scots back the criminalisation of parents. A spokesman for the Scottish Conservatives said: “Nicola Sturgeon is being deliberately misleading here. Legally the police already have perfectly adequate powers to deal with the assault of a child.